Catalogue edition limited to 81 copies. Copies are still available for purchase, send an email if interested in obtaining one. 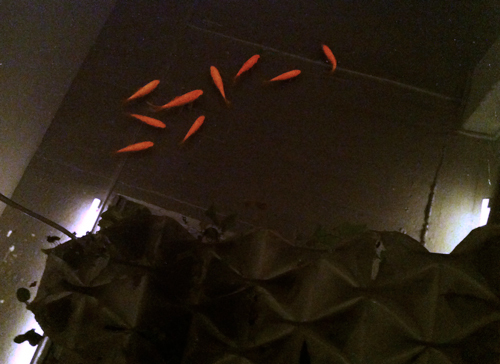 When augmented with the ability to feed, the architectural surface becomes a feedscape. 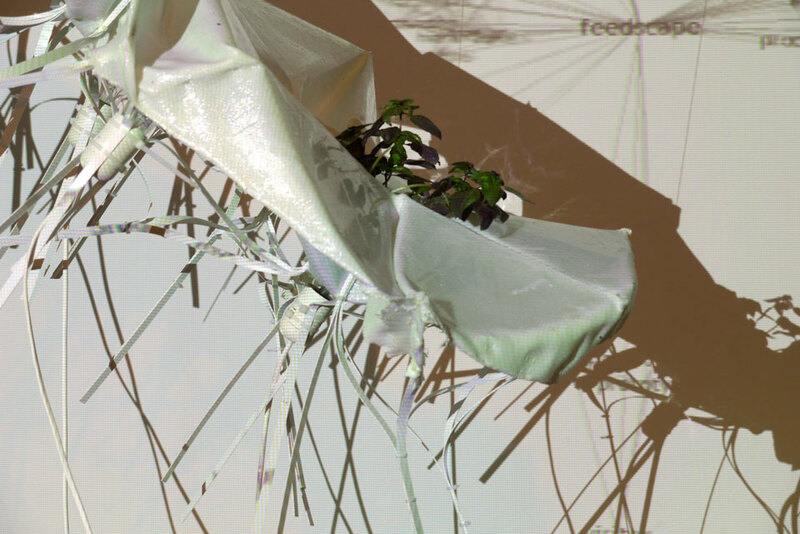 The feedscape is sensorial, performative, and most importantly productive. 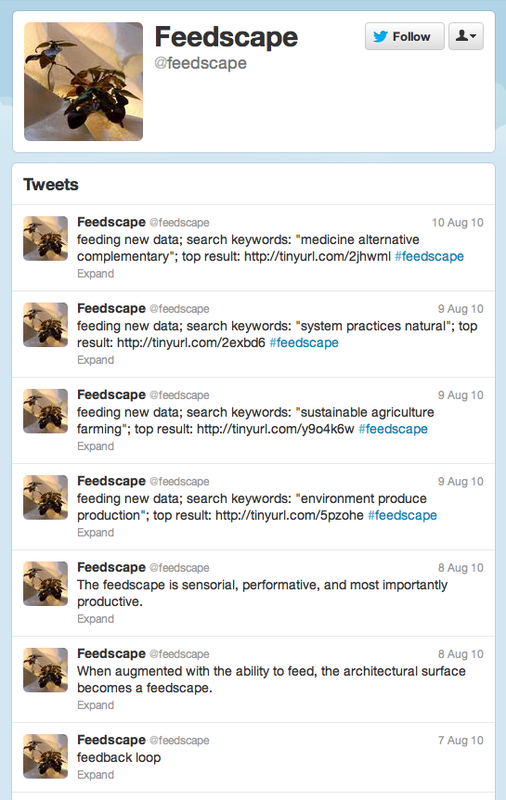 The feedscape produces knowledge, nutrition and affect. 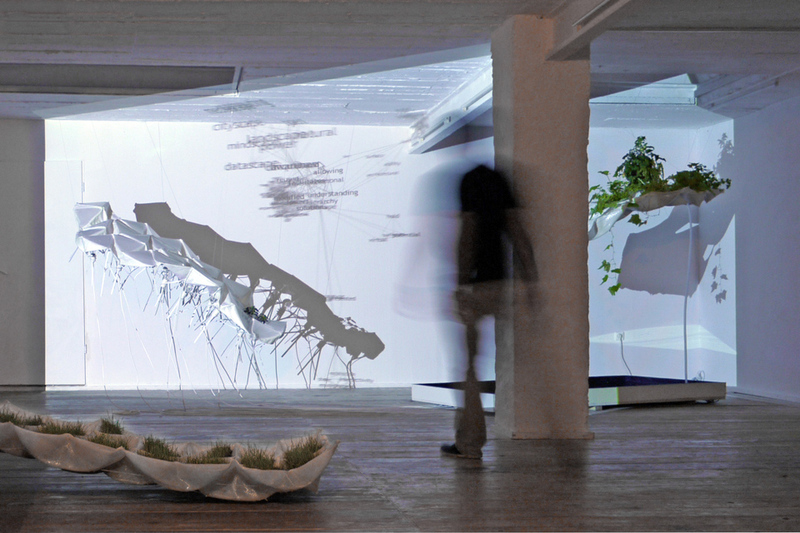 It interconnects the different layers of our spatial experience in a loop where the output of one process becomes the input of another. The feedscape must be efficient in production and adaptive to change. It needs to be agile: initiating links by folding; breaking them by unfolding; bearing valleys, hills and plains without disrupting the feed. 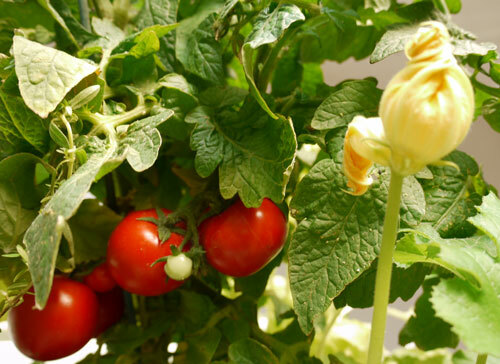 By producing our environment, by changing it, by making it our own, we also produce ourselves. We become the environment, and the environment becomes us. 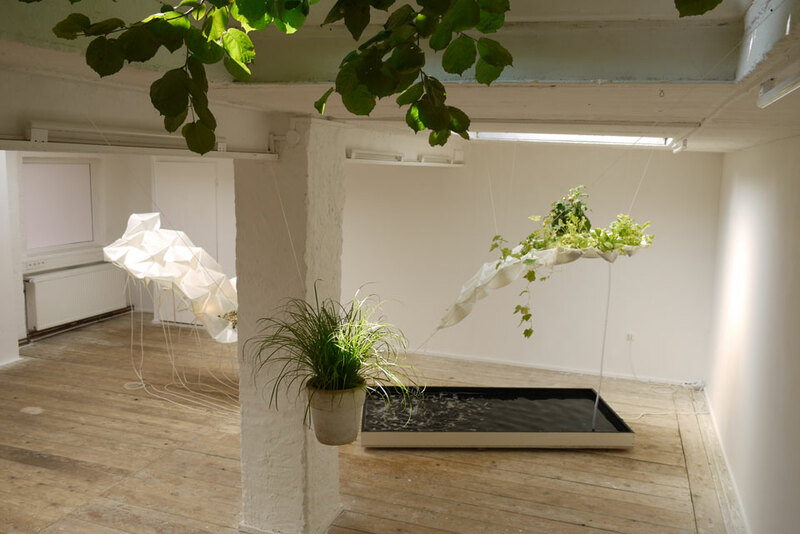 The installation “Feedscape” is comprised of a set of prototypes composed from tessellated and folded textile-reinforced resin surfaces and a water-pool. 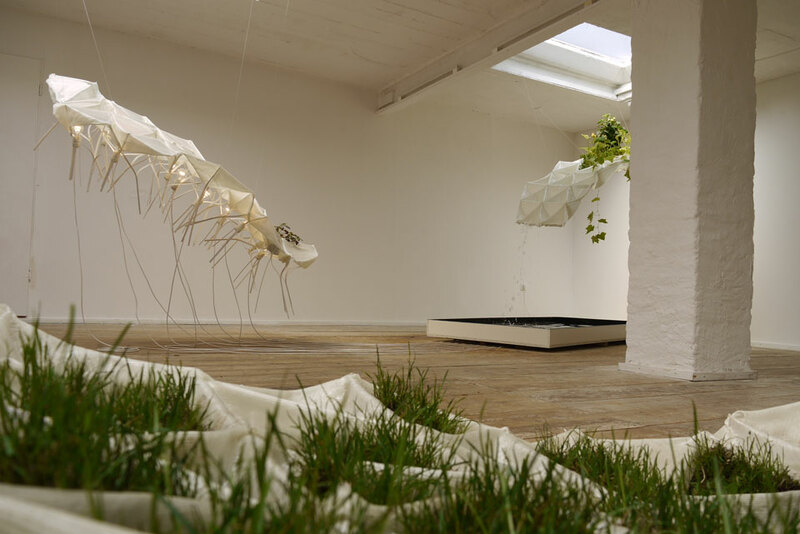 Mimicking the Middle Eastern concept of the garden, “Feedscape” is organised in four patches respectively positioned below the gallery’s four skylights. The composite surfaces accommodate animal and plant life in the inverted pockets formed between the folds. 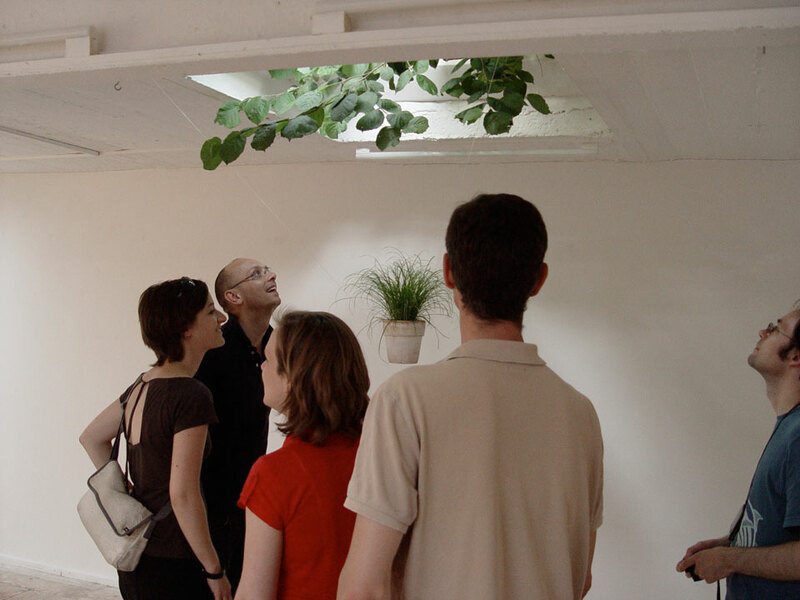 Embedded lighting fixtures and water nozzles provide the installation with locally differentiated responsiveness. 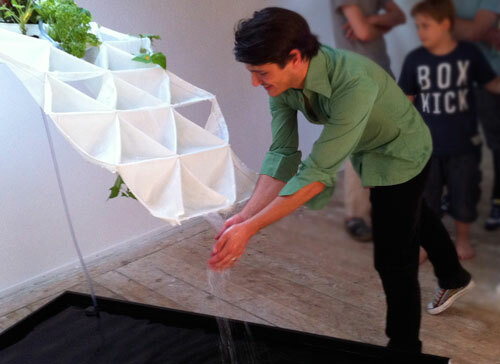 The installation creates a nutrient loop with an aquaponics system that connects fish in the water-pool with the edible plants in the surfaces. 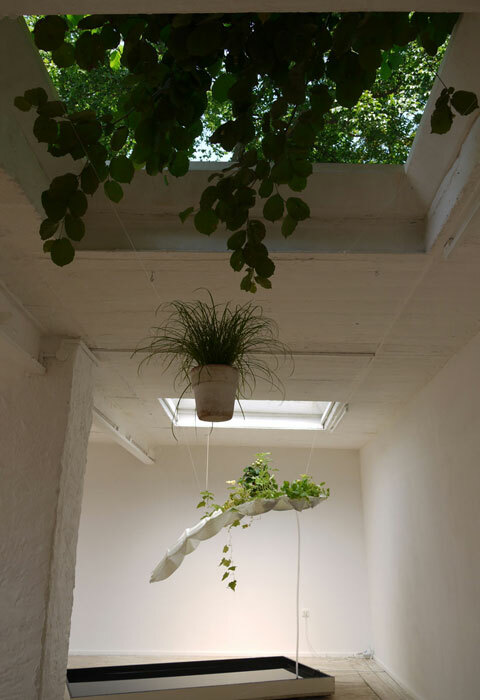 A suspended ceramic pot posing the problem of fragmenting nature, is the departing counterpoint for the visitor. 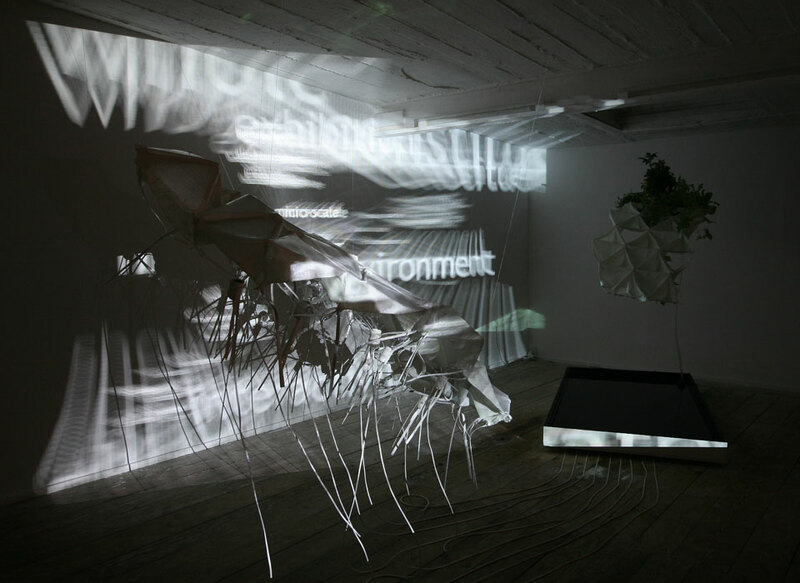 During the life of the installation an information feed is constructed by a script and its results are projected in the gallery space and posted online. 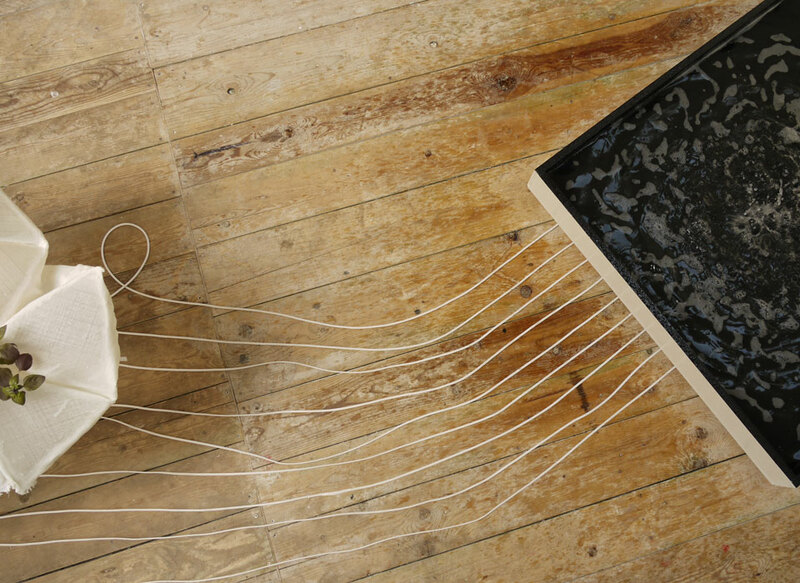 The projected image of the self-generating tag-cloud overlays and binds the resin surfaces into a coherent organisation. 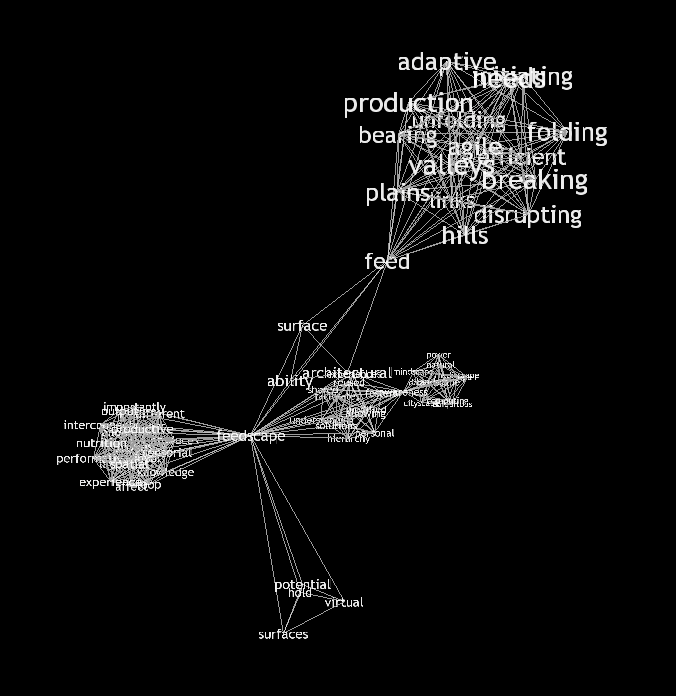 The projection is continuously growing, starting from the author’s own text and feeding off select texts on the Internet through periodic google searches that add new descriptive keywords to the tag-cloud. The results are fed back to the online space via Twitter. 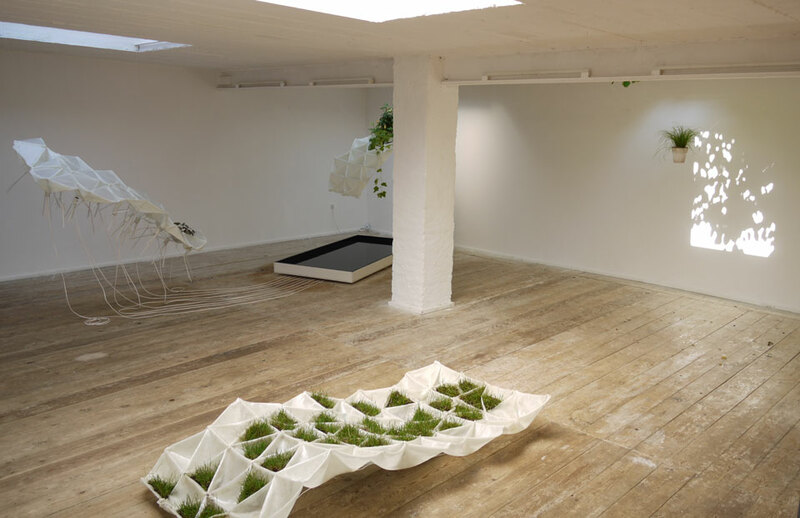 The installation is a prototype for embedding various production processes in the architectural surface as part of open micro-cycles set in the exhibition space and extending beyond it.